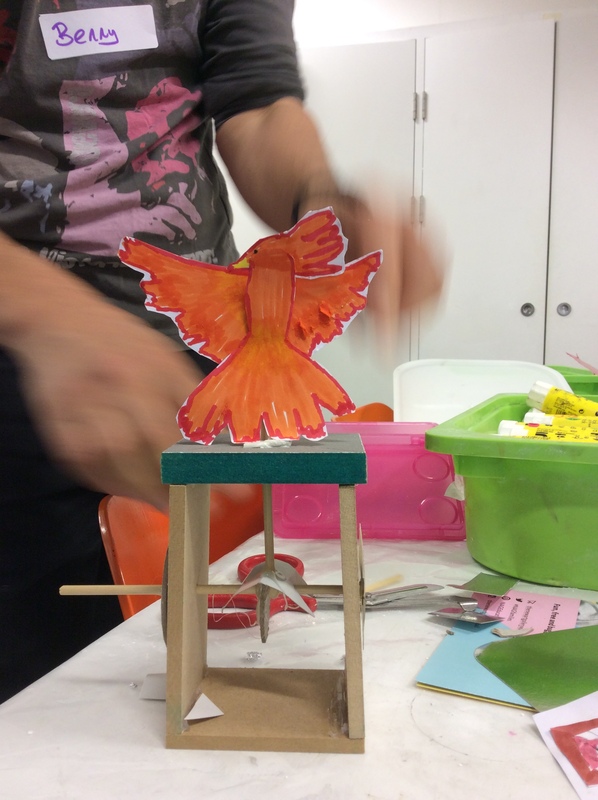 A series of workshops which explore how Science, Technology, Engineering and Mathematics meet Art, taking inspiration from pieces from within our Collections. This workshop uses an Ancient Egyptian plaster mask as a starting point for investigating materials science, states of matter and chemical reactions. In addition to their scientific enquiry, each child will make their own plaster cast to take home. As well as the above, pupils learn more about the chemical properties of materials and use scientific terms to describe them. The Automata session focuses primarily on engineering, starting with Jacob Epstein’s Study for Rock Drill and how it influenced kinetic art and images of robots in popular culture. They then go on to learn about mechanical movement and transforming motion before making their own simple moving toy to take home. Secondary groups will do the above, plus a more advance engagement with types of motion and hot they are used in engineering. For more information and booking please contact Catherine James, Education Assistant.